"Take your needle, my child, and work at your pattern; it will come out a rose by and by. Life is like that - one stitch at a time taken patiently and the pattern will come out all right like the embroidery." Why, you may ask, would they say such a thing? It seems that the repetitive motions and focus required when working with textiles can offer a way into a a state of "flow” – a state of concentration or complete absorption with the activity at hand and the situation. This state of ‘flow’ is what people are trying to achieve when they meditate or are being mindful. Put simply, mindfulness is the practice of paying full attention to whatever you are doing, allowing you to achieve a meditative state whether washing up, walking the dog or sitting on your yoga mat. And for those of us who are not quite as bendy as we once were, the good news is that working on a craft can help us achieve this state too. And there are many more benefits to crafting as increasing amounts of studies are showing. Betsan Corkshill, author of Knit for Health and Wellness; How to Knit a Flexible Mind and More, is one of the pioneers into research into the benefits of knitting and stitching. This is from her website, Stitchlinks. ‘Our mission is to use knitting and other therapeutic creative activities to improve wellbeing generally, but also to complement medical treatments in the self-management of long-term health conditions. We are working closely with academics and clinicians, and as a direct result, therapeutic knitting and therapeutic knitting groups are being formally acknowledged by leading clinicians and academics for their benefits in mainstream healthcare. We have been successfully using knitting therapeutically in the NHS since 2006. In an online survey of 3,545 knitters, Betsan found a significant link between feelings of wellbeing and knitting. Those respondents who knitted more than three times a week were the happiest, reporting that they were calmer, happier, less sad, less anxious, and more confident. 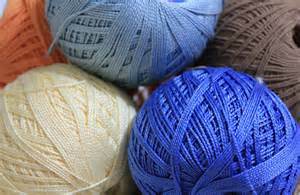 The study concluded, “Knitting has significant psychological and social benefits, which can contribute to wellbeing and quality of life.” Interestingly, the study also found that people who knitted as part of a group were even happier than solo knitters.